If you don’t have physical advertising materials like banners, flags and posters in your marketing arsenal, you’re missing out on some excellent opportunities to create bigger and better brand awareness. Not to mention the opportunity to draw greater attention to your business’s products and services or attract the attention of passers-by and encourage them to set foot inside your place of business. Banners, whether they’re pullup, pop-up or roller banners, are excellent advertising materials that have long been used to excellent effect. Especially when they’re placed outside a place of business or used at trade shows and exhibitions. To give you an idea as to why they’re still used so extensively – even in a day and age where most businesses have fallen head over heels in love with social media marketing – here are some of the many benefits to using pullup banners, roller banners, pop-up banners and other popular banner varieties. Although there are certain design tips that you’ll want to adhere to when designing pullup, pop-up or roller banners to promote your business and your products and services, there are seemingly countless design options for you to select from. Along with using the colour schemes of your business logo to further awareness of your brand, you can also use high resolution images to great effect and employ a strong call to action that tells the reader precisely what you want them to do. And you can also use catchy headlines that will make people pay attention to your message. When the materials are of a good quality, banners are very durable and they’re also remarkably cost effective. This is great news for businesses that don’t have much of an advertising and marketing budget to work with, but recognise the inherent importance of engaging in effective business promotion. But banners aren’t only durable and offer longevity in that they can withstand the elements, they’re also durable and have a long lifespan in that they can be used time and time again. Provided, of course, that they don’t become dated or irrelevant. Banners are also an amazingly cost effective advertising material. 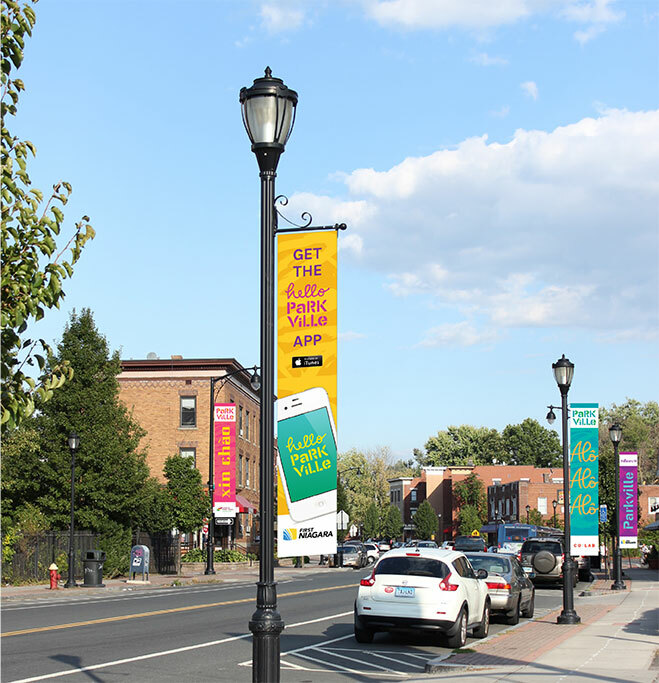 With many local businesses struggling to put together much of a budget for advertising and marketing purposes, it’s difficult to pass banners by considering how beneficial they are to use. Quick and easy to assemble, as well as store when they’re not in use, banners are the perfect physical advertising material for businesses hosting stalls and stands at trade shows and exhibitions. Suitable for numerous environments and able to be used time and time again when stored correctly so as to not get damaged, they won’t take up much space in your office or storeroom when you’re not using them. Even in a day and age that’s overwhelmingly leaning towards digital marketing techniques, banners have proven an outstanding advertising material, one that offers many benefits. Why not find out for yourself how well they’ll work for your business? Next Apple Logo – Meaning, Evolution and Story In A Nutshell!